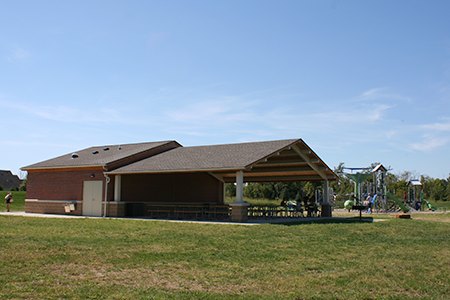 Perfect for birthday parties, graduation parties, family reunions and more, large group shelters are available in eight CWPD parks. Shelters are reservable beginning the first business day in January for the current year. Reservations may be made online with a credit card. You may also reserve in person with cash, check or credit card during regular office hours (8 am to 4:30 pm Monday through Friday). Reservations are not available via phone at this time. 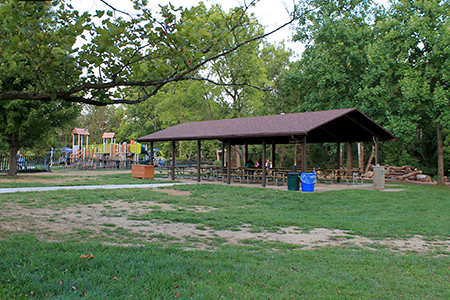 The Centerville-Washington Park District reserves the right to cancel any reservation that exceeds the specified shelter capacity and/or any unpermitted commercial or for-profit activity. Shelters are available for use on a first come, first served basis when not reserved. 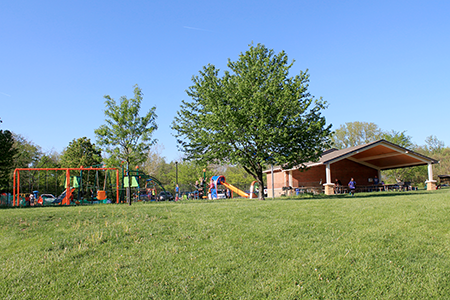 Parks are open daylight hours. Shelters are available for reservation between the hours of 10 am – 8 pm. Please check each shelter listing below for shelter-specific reservation times. The fishing dock is not reservable and will be open to the public during shelter reservations.